November 29, 2015 Jeff B. On a recent trip to Scotland I had the opportunity to take a trip to the Glengoyne Distillery. Here are a few photos from that trip along with comments. 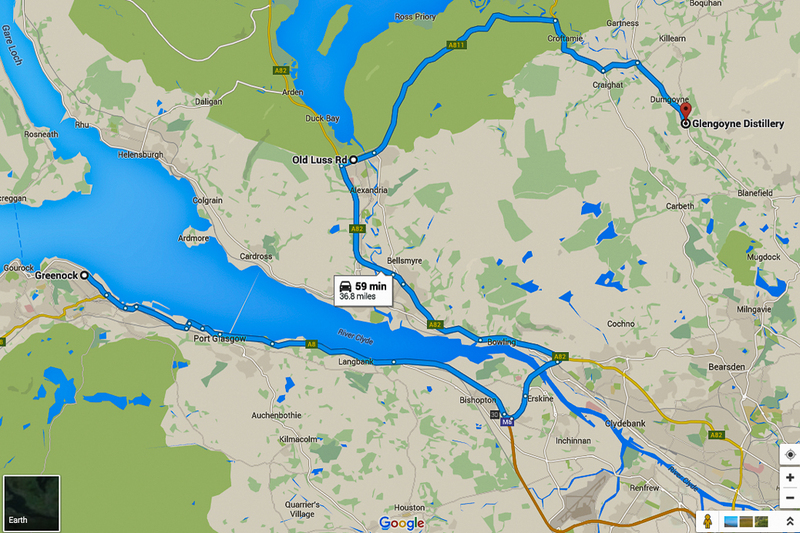 Cruise ships dock in Greenock since they cannot navigate the River Clyde all the way east to Glasgow. The nearest bridge is east and the bus driver took a circuitous route to avoid Glasgow traffic, pass historic sites (Mary Queen of Scots castle) and view scenery. 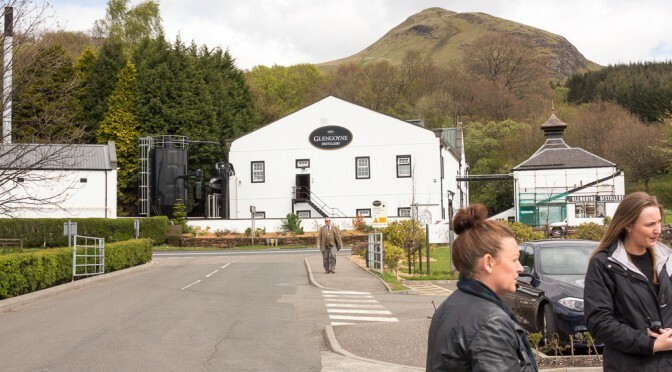 There was a stop at Loch Lomond and then on to the Glengoyne Distillery, founded in 1833, via a very narrow road.